Terex Utilities sales and service across 17 states. Details of the transaction have not yet been released, nor specific merger strategies, but it looks as though Terex Services will add the additional product support coverage to its existing network, which could be used to help support other group products, such as those made by Genie. 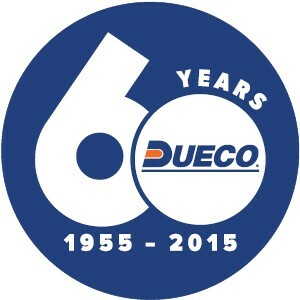 Dueco was founded by Pete Dalum in 1955 and and was renamed Dalum’s Utility Equipment Company in the 1970s – thus DUECo. It is almost unique among larger companies in the sector in that it is female owned and run. It has expanded its business rapidly in recent years and was appointed as a Fassi dealer in 2011. In May last year Terex added Wyoming and Montana to its territory. Terex statement said: “Customers will benefit further from the unified team working with a streamlined sales and service pipeline with a more focused approach and expanded solutions”. Dueco chief executive Judie Taylor, whose family started the business, added: “We are very glad to be an integral component of Terex now. Dueco’s philosophy has always been to focus on our customers and our team, with a passionate desire to take care of both. Our customers will benefit from the vertical integration and seamless depth of expertise with our combined teams to support customers nationwide and even globally”.